Despite his short life, the poet Robert Burns (1759-96) has made an enormous impact on literature and culture in Scotland, and the world over. Burns wrote his first poem aged 15, and his first publication, Poems, Chiefly in the Scottish Dialect (1786) was an instant success. Soon after his death, numerous Burns Clubs were formed in his honour in commemoration of his life and oeuvre; Dunedin’s own was established in 1861. He had become the ‘People’s Poet’, and the emigrating Scottish diaspora took him wherever they went. 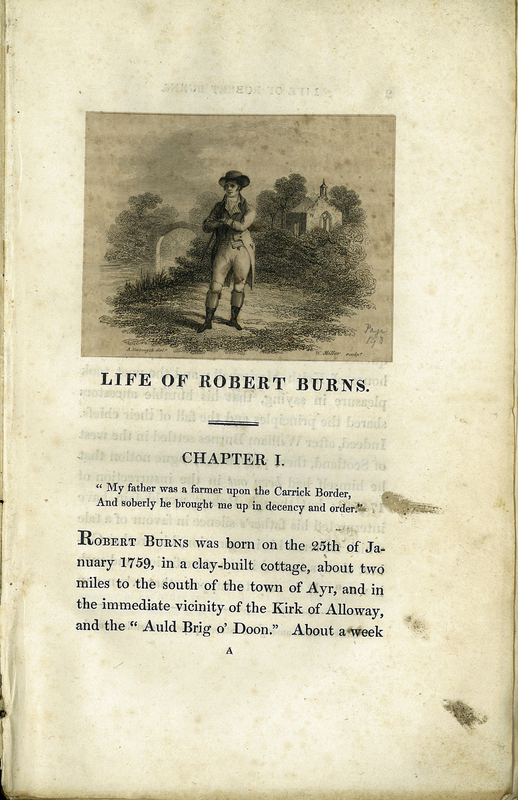 This biography of Burns was written by John Gibson Lockhart (d. 1854), the son-in-law of Sir Walter Scott (d. 1832). J. G. Lockhart, “Life of Robert Burns,” ourheritage.ac.nz | OUR Heritage, accessed April 26, 2019, http://ourheritage.ac.nz/items/show/10919.